Valentine’s Day is right around the corner, folks! Perhaps you’ve already had it planned out for weeks: a fancy dinner out, a stroll through town, roses, chocolates – the works. Or you may be scrambling at the last minute, hardly aware that the year 2017 has even started. And then there are those of us who want to curl up in bed on February 13th and wake up on the 15th. 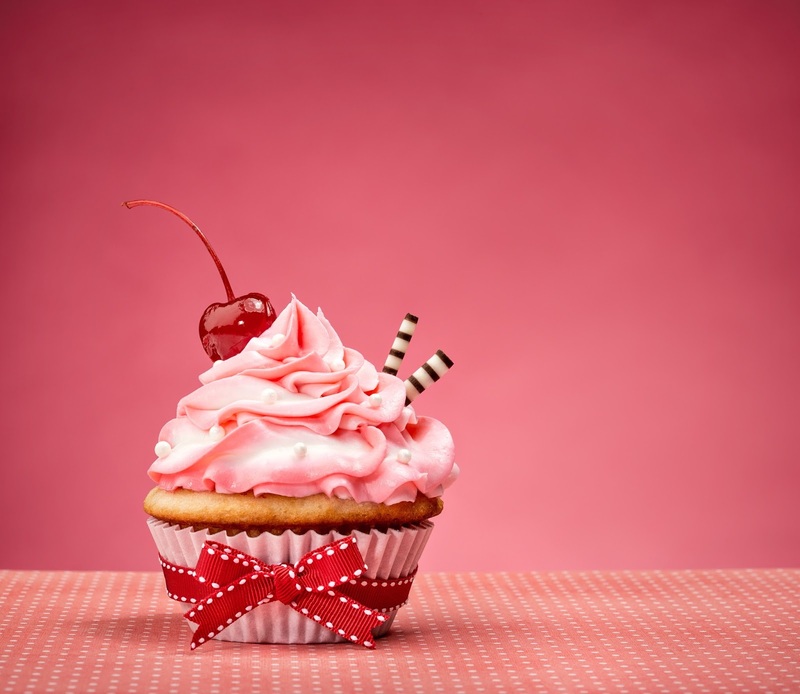 Regardless of which category you fit in, if you like sweets – or have a special someone in your life who does – you’ll want to read on for some tips from the pros on making this year extra special (or in some cases, more tolerable) with these Valentine’s dessert ideas! 1) Raspberries – This fresh, sweet berry is a favorite for many and can be used in so many ways for desserts across the board. Throw some into your next batch of brownies for a pop of goodness. Make a sweet filling to put between layers of cake. They’re also the perfect topping for a wide range of desserts, from cakes to crème brulees – get creative! You can also apply strawberries or cranberries to this approach as well. 2) Pomegranate seeds – These little bursts of flavor can be used to top a wide range of baked deliciousness or perhaps get mixed into puddings and such. We don’t actually recommend baking with pomegranate seeds – but that doesn’t mean they can’t be the perfect final touch on your next batch of sweetness. 3) And of course, red food coloring to turn everything into a Valentine’s Day tribute. Perhaps you need a soft gel paste to do the trick or powder food coloring like this Americolor variation. Regardless, your chocolate will turn into red velvet, your frosting will go from white to pink or red, and your sweet treats will become a feast for the eyes as well. 1) Nothing says love like pieces of chocolate that spell the word out – L – O – V – E – in sweet, edible form. 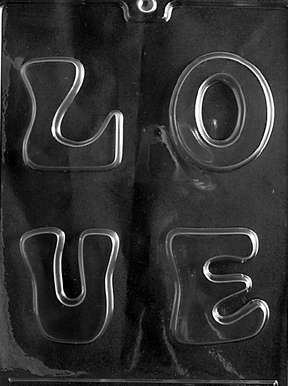 With our Love Letters Mold, each letter will measure just over 2½” for an impressive, sweet display of love, whomever it may be for. 2) For a less traditional message, our Be My Honey Chocolate Mold is too darling to pass up. Make chocolates in the shape of little bee hives with the words “Be My Honey” printed across each one. Too cute! 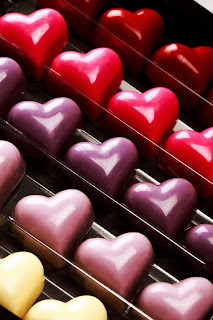 3) Or go for the classic approach of bite-size hearts to show you care. With our Tear Drop Heart Mold, you can make 12 mini hearts with each batch – so the recipient will never know if you ate a few on the way. And as an added bonus, don’t stop at regular milk or white chocolate. Try using red vanilla- or strawberry-flavored melting wafers for a colorfully festive variation to your delicious gift. We just can’t help but break out all our heart and red/pink shaped favorites this time of year, so before signing off, may we suggest a few more things to round up our Valentine’s Day treat suggestions? 1) If you’re making small treats in bulk, you’ll want to be sure to package them nicely (some say presentation is everything). Red or pink foil wrappers should do the trick, depending on what you’re wrapping. Or this package of heart-designed squares would be darling as well. 2) You can also write on or decorate your items with a pretty pink frosting like this Candy Writer. The recipient will love this personal touch. 3) And let’s not forget the treasured red heart box with space for up to one pound of chocolate or candy. It’s the perfect way to package this special present. Feel free to add more ideas in the comments below on how you make your Valentine’s Day treats – and may everyone have a very happy Valentine’s Day, however you choose to mark the occasion!